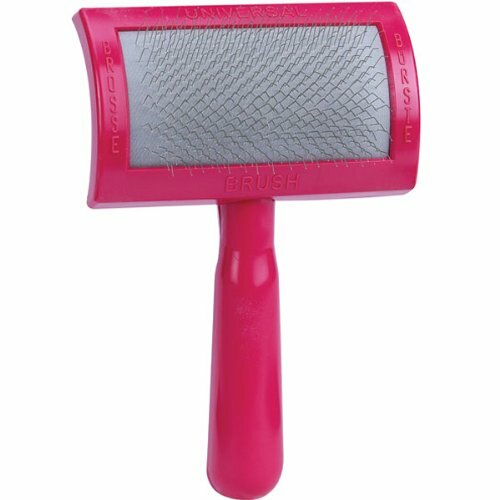 This german premium-quality Oscar Frank slicker brush help remove mats, debris and loose hair from coats. Lightweight plastic handles are contoured for optimum control. Silky smooth slicker is the softest slicker, ever. Perfect for fine coats and sensitive skin. Available in pink color. Pin surface measures 3-1/4-inch length by 1-3/4-inch width.